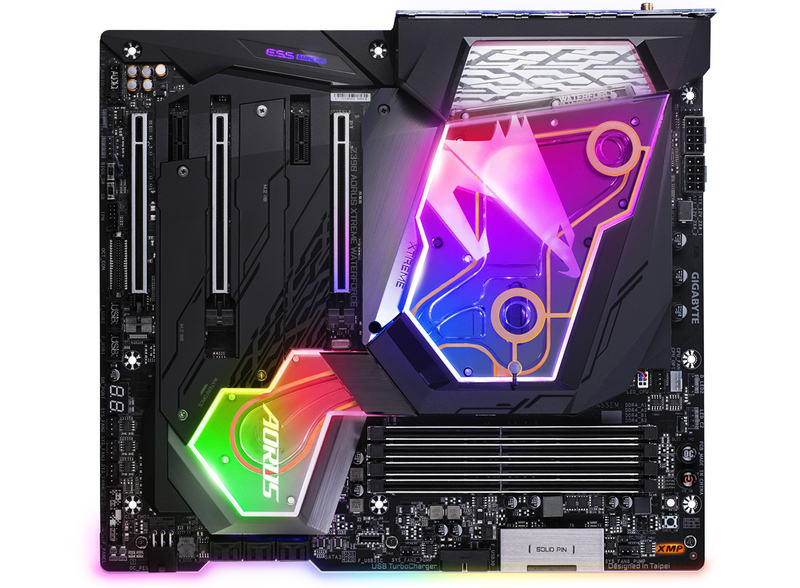 GIGABYTE this week announced plans to offer its top-of-the-range Intel Z390-based motherboard with Intel’s Core i9-9900K processor in a combination package. The CPU is handpicked and pre-tested to run at 5.1 GHz on all cores, while the motherboard is fitted with a pre-made water block for the power delivery and processor. The Z390 Aorus Xtreme Waterforce 5G Premium Edition Bundle will be available shortly, but its price is currently unknown. The motherboard on its own is $899, which is already a premium offering, indicating that the bundle price is likely to go beyond $1400. Back in the day, CPU overclocking used to only be for experienced users that could not only tune settings of their platforms, but also ensure that their processors were properly cooled. With the arrival of CPUs, motherboards, and closed-loop liquid cooling systems designed with overclocking in mind in the recent years, overclocking became relatively easy and went mainstream. But while the process itself is nowadays less complicated than it used to be, getting CPU that is highly overclockable is still a lottery. Some stores like CaseKing.de and Overclockers.co.uk offer handpicked processors that are guaranteed to hit certain clocks, but such CPUs usually carry a hefty price tag. With its Z390 Aorus Xtreme Waterforce 5G Premium Edition Bundle offering, GIGABYTE eliminates the ‘CPU lottery’ part by guaranteeing its clients a certain overclocking potential by bundling the CPU with the motherboard. To a large degree, this guaranteed overclocking result was made possible by the design of the Z390 Aorus Xtreme Waterforce 5G motherboard. The E-ATX platform comes equipped with a 16-phase digital VRM featuring solid state inductors and capacitors as well as a unique water block with leak detection that cools down the CPU, chipset, and VRM. Furthermore, the mainboard is outfitted with two 8-pin 12 V power inputs designed to allow the CPU to pull as much power as it needs. Obviously, liquid cooling plays a key role in overclocking potential enabled by the motherboard. Being GIGABYTE’s flagship Intel Z390-based offering, the Z390 Aorus Xtreme Waterforce 5G Premium Edition Bundle has a plethora of premium features in general. The motherboard has three full-length PCIe 3.0 slots which operate at x16, x8/x8, and x8/x8/x4 (the latter runs in x2 mode if a PCIe SSD is installed into the M2P M.2 slot), as well as two PCIe 3.0 x1 slots. It also has three M.2 slots, six SATA ports which support for RAID 0, 1, 5 and 10 arrays. On the networking side of things, the platform features two Ethernet ports powered by Aquantia 10GbE and Intel GbE controllers as well as the Intel 9560 2T2R 1.73 Gbps capable Wi-Fi adapter which also offers users Bluetooth v5 compatibility. As for audio, it has Realtek ALC1220-VB HD audio codec that is complemented by an ESS Sabre 9018K2M DAC and OPA1622 OP-AMP. Finally, it features two Thunderbolt 3 ports, four USB 3.1 Gen 2 Type-A connectors, four USB 3.1 Gen 1 Type-A ports, and one HDMI output. 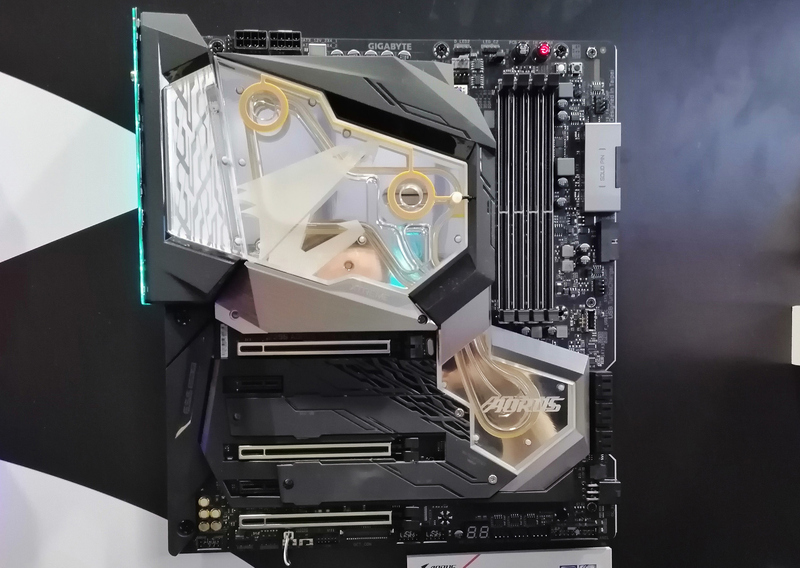 The key part about the Z390 Aorus Xtreme Waterforce 5G Premium Edition Bundle is its price. The motherboard itself costs $899.99 at Newegg. 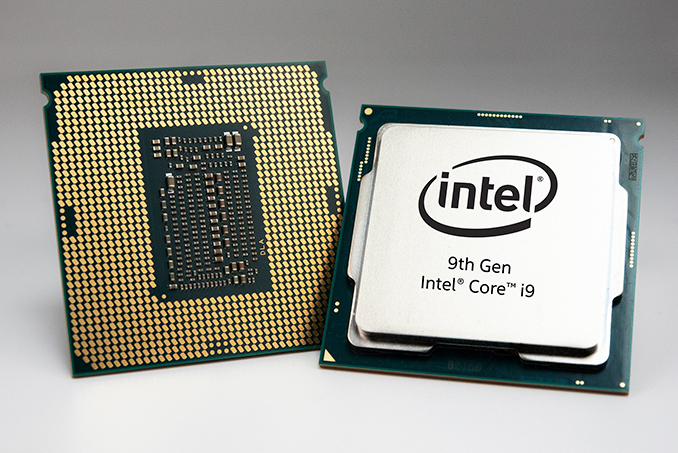 The same retailer sells Intel’s Core i9-9900K for $524.99. A handpicked CPU with an already very expensive motherboard will likely cost quite a lot. The question is how much?